2017 brought huge variations in weather patterns between the east and the west. Many parts of the West and Southwest experienced drought conditions throughout the growing season. Flooding was an issue, with hurricanes hitting Texas and the Gulf Coast as well as the East Coast. Much of the Central Plains, Northeast and Midwest regions were punctuated with above average rainfall. If a dry spell hits after cutting a low-maturity forage, the regrowth is poor, and it’s difficult to anchor the overall yield of the field. Waiting for a higher yield during some of the later cuts may lessen quality, but it is less stressful in relation to the fermentation quality. In the east, the issue was very different due to higher levels of moisture. 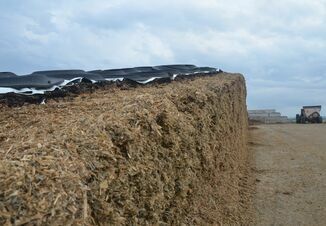 When the humidity is too high, it’s difficult for the microorganisms to produce enough lactic acid to overcome the amount of water in the silage. Since there is less sugar available for the fermentation, the acidification potential is negatively influenced. In dry conditions, rely on best management practices when harvesting and ensiling. In both scenarios, use a research-proven, reputable, bacterial inoculant to help activate the fermentation process and create the best quality silage. 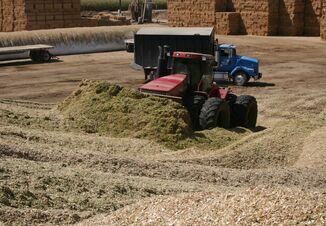 With drier forage, the material can’t be packed as tightly, allowing more oxygen and porosity of silage. Treating with a lactic acid bacteria inoculant helps protect the silage against this issue. When the porosity is higher, a lactic acid inoculant’s strain improves aerobic stability because it has antifungal properties that negatively impact the growth of yeast and mold, which degrade silage quality. Based on research, Drouin advises growers to always use an inoculant with their silage. 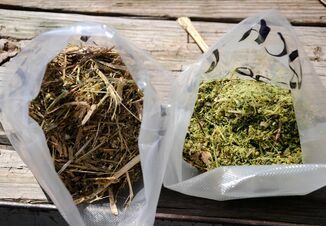 “Adding an inoculant changes the microbial dynamic in the silage and improves the quality even when the harvesting conditions are good, but when the harvesting conditions are poor, an inoculant will significantly improve the quality of the silage,” he concluded.